In the 18th May edition of the Washington Post, Robert Kagan joined a growing chorus of public intellectuals who castigate Trump as a fascist. All of them are confusing authoritarianism and totalitarianism with fascism. Trump is not a fascist. He is not sophisticated enough to have any political ideology. He is a narcissistic bully, a shrewd marketer, and an amateur politician with authoritarian instincts. These do not a fascist make. Fascist movements were founded, inter alia, on negations and on the militarization of politics. Their raison d’etre and vigor were derived from their rabid opposition to liberalism, communism, conservatism, rationalism, and individualism and from exclusionary racism. It was a symbiotic relationship – self-definition and continued survival by opposition. Yet, all fascist movements suffered from fatal — though largely preconcerted — ideological tensions. In their drive to become broad, pluralistic churches (a hallmark of totalitarian movements) — these secular religions often offered contradictory doctrinal fare. The first axis of tension was between renewal and destruction. Fascist parties invariably presented themselves as concerned with the pursuit and realization of a utopian program based on the emergence of a “new man” (in Germany it was a mutation of Nietzsche’s Superman). “New,” “young,” “vital,” and “ideal” were pivotal keywords. Destruction was both inevitable (i.e., the removal of the old and corrupt) and desirable (i.e., cathartic, purifying, unifying, and ennobling). Yet fascism was also nihilistic. It was bipolar: either utopia or death. Hitler instructed Speer to demolish Germany when his dream of a thousand-years Reich crumbled. This mental splitting mechanism (all bad or all good, black or white) is typical of all utopian movements. Similarly, Stalin (not a fascist) embarked on orgies of death and devastation every time he faced an obstacle. This ever-present tension between construction, renewal, vitalism, and the adoration of nature — and destruction, annihilation, murder, and chaos – was detrimental to the longevity and cohesion of fascist fronts. A second, more all-pervasive tension was between self-assertion and what Griffin and Payne call “self transcendence.” Fascism was a cult of the Promethean will, of the super-man, above morality, and the shackles of pernicious materialism, egalitarianism, and rationalism. It was demanded of the New Man to be wilful, assertive, determined, self-motivating, a law unto himself. The New Man, in other words, was supposed to be contemptuously asocial (though not anti-social). But here, precisely, arose the contradiction. It was society which demanded from the New Man certain traits and the selfless fulfillment of certain obligations and observance of certain duties. The New Man was supposed to transcend egotism and sacrifice himself for the greater, collective, good. In Germany, it was Hitler who embodied this intolerable inconsistency. On the one hand, he was considered to be the reification of the will of the nation and its destiny. On the other hand, he was described as self-denying, self-less, inhumanly altruistic, and a temporal saint martyred on the altar of the German nation. This doctrinal tension manifested itself also in the economic ideology of fascist movements. Still, private property was carefully preserved and property rights meticulously enforced. Ownership of assets was considered to be a mode of individualistic expression (and thus, “self-assertion”) not to be tampered with. 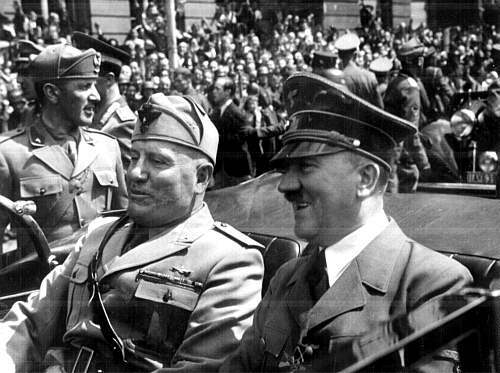 This second type of tension transformed many of the fascist organizations into chaotic, mismanaged, corrupt, and amoral groups, lacking in direction and in self-discipline. They swung ferociously between the pole of malignant individualism and that of lethal collectivism. Fascism was constantly in the making, eternally half-baked, subject to violent permutations, mutations, and transformations. Fascist movements were “processual” and, thus, in permanent revolution (rather, since fascism was based on the negation of other social forces, in permanent civil war). It was a utopian movement in search of a Utopia. Many of the elements of a Utopia were there, but hopelessly mangled and mingled and without any coherent blueprint. In the absence of a rational vision and an orderly plan of action, fascist movements resorted to irrationality, the supernatural, the magical, and to their brand of a secular religion. They emphasized the way rather than the destination, the struggle rather than the attainment, the battle rather than the victory, the effort rather than the outcome, or, in short, the Promethean and the Thanatean rather than the Vestal, the kitschy rather than the truly aesthetic. Fascism emphasized rigid social structures, supposedly the ineluctable reflections of biological strictures. As opposed to politics and culture — where fascism was revolutionary and utopian- – socially, fascism was reactionary, regressive, and defensive. It was pro-family. One’s obligations, functions, and rights were the results of one’s “place in society.” But fascism was also male chauvinistic, adolescent, latently homosexual (“the cult of virility,” the worship of the military) somewhat pornographic (the adoration of the naked body, of “nature,” and of the young) and misogynistic. In its horror of its own repressed androgynous “perversions” (i.e., the very decadence it claimed to be eradicating), it employed numerous defense mechanisms (e.g., reaction formation and projective identification). It was gender dysphoric and personality disordered. All fascist movements were founded on the equivalent of the Nazi Fuhrerprinzip. The leader — infallible, indestructible, invincible, omnipotent, omniscient, sacrificial — was a creative genius who embodied as well as interpreted the nation’s quiddity and fate. His privileged and unerring access to the soul of the fascist movement, to history’s grand designs, and to the moral and aesthetic principles underlying it all — made him indispensable and worthy of blind and automatic obedience. This strongly conflicted with the unmitigated, all-inclusive, all-pervasive, and missionary populism of fascism. Fascism was not egalitarian (see section above). It believed in a fuzzily role-based and class-based system. It was misogynistic, against the old, often against the “other” (ethnic or racial minorities). But, with these exceptions, it embraced one and all and was rather meritocratic. Admittedly, mobility within the fascist parties was either the result of actual achievements and merit or the outcome of nepotism and cronyism — still, fascism was far more egalitarian than most other political movements. 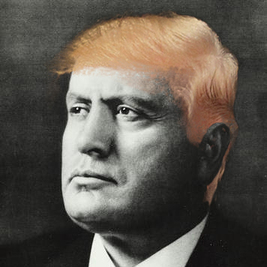 This populist strand did not sit well with the overweening existence of a Duce or a Fuhrer. Tensions erupted now and then, but overall, the Fuhrerprinzip held well. Fascism’s undoing cannot be attributed to any of these inherent contradictions, though they made it brittle and clunky. To understand the downfall of this meteoric latecomer we must look elsewhere, to the 17th and 18th century. Man progresses by accumulating knowledge and wealth, and by constructing ever-improving polities. Similarly, the classical, all-encompassing idea of progress is perceived to be a “Law of Nature,” with human jurisprudence and institutions as both its manifestations and descriptions. Thus, all ideas of progress are pseudo-scientific. All four totalitarian ideologies regard individual tragedies and sacrifices as the inevitable lubricant of the inexorable March Forward of the species. Yet, they redefine “humanity” (who is human) to exclude large groups of people. 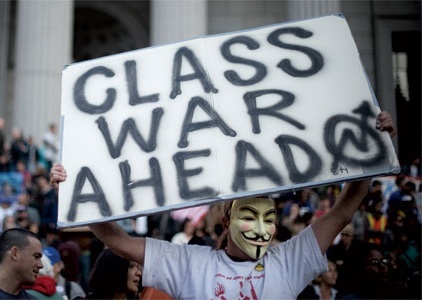 Communism embraces the Working Class (Proletariat) but not the Bourgeoisie; Nazism promotes one Volk, but denigrates and annihilates others; Fascism bows to the Collective but viciously persecutes dissidents; Religious Fundamentalism posits a chasm between believers and infidels. In these four intolerant ideologies, the exclusion of certain reviled groups of people is both a prerequisite for the operation of the “Natural Law of Progress” and an integral part of its motion forward. The moral and spiritual obligation of “real” Man to future generations is to “unburden” the Law, to make it possible for it to operate smoothly and in optimal conditions, with all hindrances (read: undesirables) removed (read: murdered). All four ideologies subvert modernity (in other words, Progress itself) by using its products (technology) to exclude and kill “outsiders,” all in the name of servicing “real” humanity and bettering its lot. But liberal democracy has been intermittently guilty of the same sin. The same deranged logic extends to the construction and maintenance of nuclear weapons by countries like the USA, the UK, France, and Israel: they are intended to protect “good” humanity against “bad” people (e.g., Communists during the Cold War, Arabs, or failed states such as Iran). Even global warming is a symptom of such exclusionary thinking: the rich feel that they have the right to tax the “lesser” poor by polluting our common planet and by disproportionately exhausting its resources. The fact is that, at least since the 1920s, the very existence of Mankind is being recurrently threatened by exclusionary ideas of progress. Even Colonialism, which predated modern ideologies, was inclusive and sought to “improve” the “Natives” and “bring them to the White Man’s level,” by assimilating or incorporating them in the culture and society of the colonial power. This was the celebrated (and then decried) “White Man’s Burden.” That we no longer accept our common fate and the need to collaborate to improve our lot is nothing short of suicidal. Sam Vaknin is the author of “Malignant Self-love: Narcissism Revisited” and other books and e-books about personality disorders in general and pathological narcissism in particular. His work is cited widely in both scholarly literature and the media. His YouTube channels have 45,000 subscribers and more than 15,000,000 views. TRUMP comes across as one who is little bit mentally ill. He likes verbally attacking and ridiculing people. He likes to fight.. He seems to get a charge out of it. He wants to put himself up as the only one who knows anything. He seems to think,he is right and everyone else is wrong. That is a very strange way of looking at life. He seems to only TALKS ABOUT himself. and attack and ridicule others.